and i think my calculators broken,the formula im doing cant be equivalent to my normal atk,let me try that again. 'm more confused as to how Attack is calculated. It says we lose attack as we gain more intelligence, but it also says speed is 1/6 of the attack, meaning that intelligence is a needed for attack to go up. I've read your post more clearly now and it seems you are reading the formula from right to left?!? No clue where you got that from and I don't plan to find out. Well to answer that, since everyone starts with the basic 10 speed and 1 att/def, speed is used by only 2 stats, Intelligence/Dexterity. When it says: "Your speed rating = 1/2 * dexterity + 1/4 * intelligence + 2.5"
Are the fractions 1/2 and 1/4 of 1? Meaning 0.5 and 0.25? Okay thanks for clearing that up. Using 10 for dexterity and 10 for intelligence, I was getting 55. 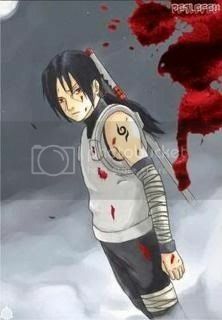 Neji should have just put dexterity/intelligence in brackets rather then using an asterisk. The way Neji wrote it is basically the way it's typed in the code. you should really revert this change, I don't think anyone actually liked it. All you really ended up doing was making the game die faster, since people have to now choose between speed killing oro and pvp'ing (which was already tedious). Speed killing oro or pvp'ing has always been options. This system was implemented many mOOns ago for more of a RPG feel. Now, it may require a little math...& rechecking your numbers at first, but it isn't that difficult to understand the formula. Man long time no talk kboogie, though before atck/def pretty much dictated pvp, though it was also extremely good in oro kills as well. If I'm not mistaken I don't think it was useful to actually spend in forest fights or in HP as well. An example of this asdfjkl (I think that was his name) if you remember. Forest fights were to key for me for Oro kills & how I was able to get the 7 star tattOO so fast. The sacrifice for that was I wasn't the best in PVP. Do these stats apply in the Shades? I think they do...though doesn't matter all that much seeing as how it's so easy to gain favor. Speak for yourself, I keep dying there for some reason. ._.